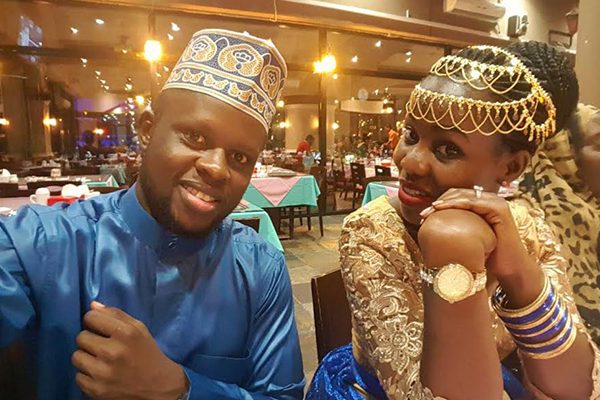 The battle between two city socialites, Ntv’s Mwasuze Mutya host and news Anchor Faridah Nakazibwe and Justin Nameere has taken a new twist with Nameere demanding for Shs500m from Nakazibwe over defamation. Through her lawyers F.X.Ogwado and Co.Advocates, Nameere has also asked Nakazibwe to apologise on the same Facebook page she used to defame her. Nameere claims in a letter PML Daily has seen that she, her family, friends and relatives suffered emotional and psychological torture and pain. On Easter Sunday, April 1, 2018, Facebook users were woken to a post on an individual’s page accusing Nakazibwe of sleeping with her husband. The claimant also accused the celebrated news anchor of promiscuity. Hours later, Nakazibwe took to her own page naming Nameere as the person behind the posts. Nakazibwe, who claimed that Nameere had hired someone to have her killed, said Nameere was using different pseudo Facebook accounts to mud-sling her. Nakazibwe stated that attempts to resolve the impasse between them on a personal basis had failed, forcing her to involve the police. She however says even police had failed to resolve the matter. Hours later, Nameere also took to her page, saying Faridah was a liar and tasked her to bring evidence pinning her to the claims and also why she so strongly thought it was Justin behind all the malice. Nameere said Nakazibwe began making the claims when she (Nameere) had just had a Caesarean Section at Kampala hospital where she had her second baby. She says her husband then asked Faridah to bring proof or stop calling his wife who had just undergone surgery which proof Faridah failed to procure. Nameere further states that she went ahead to get calls from Nakazibwe and when they failed to agree, she opened up cases with different lawyers where Faridah was asked to stop harrasing her and also bring proof to pin Justine which she failed to bring. Nameere’s lawyers claim that their client’s image among her business associates has been tainted while Nakazibwe gained fame, money and followers.